Aphex Camp is one of the sound camps located on the edge of the city. 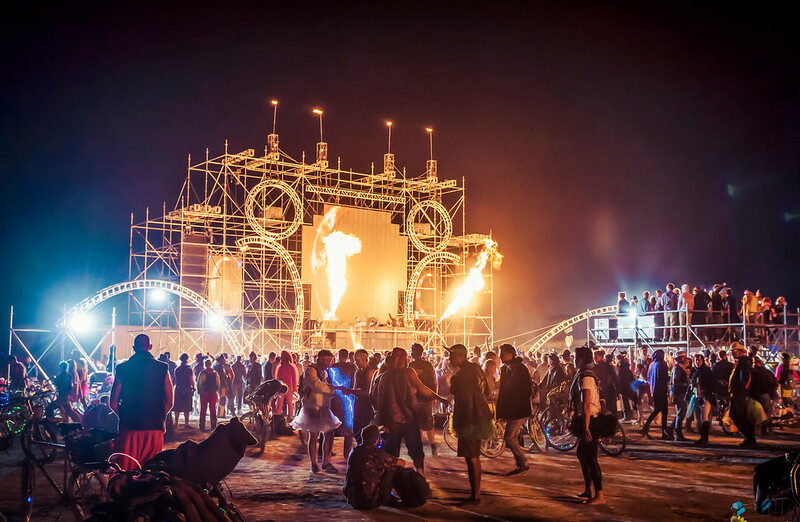 They face the speakers out away from the city as to not blast the residents of Black Rock City with too much bass. People actually have to sleep at some point. I like to visit and photograph these sound camps while I’m out shooting the art at night. It’s a nice break from the strange muffled sound that you hear in deep playa. There’s usually someone with crazy led’s or a hula hoop that will make for great light painting, but a tripod is definitely necessary.